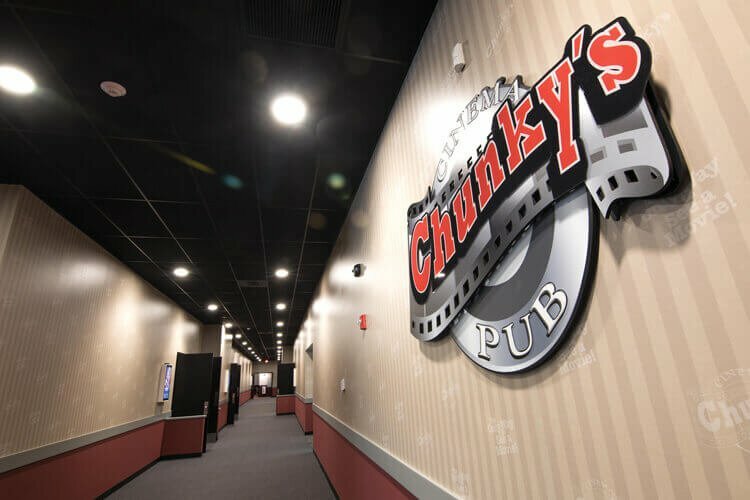 Chunky’s Cinema Pubs is a New Hampshire based movie theater chain, which combines first-run movies and a full pub-inspired food menu to deliver an entertainment experience like no other. 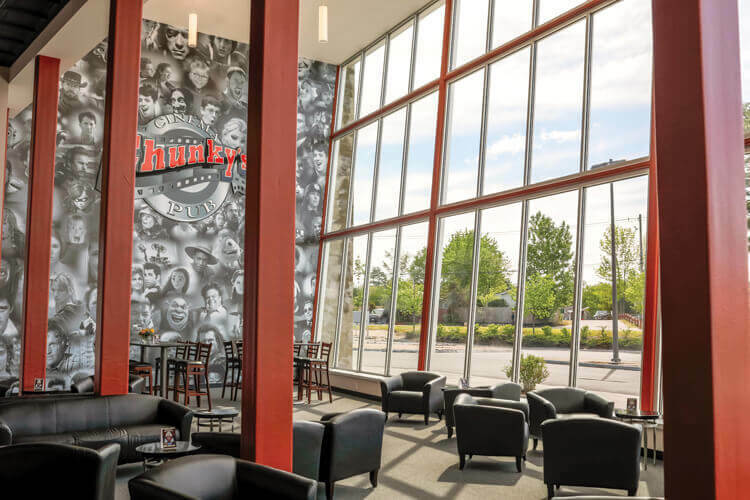 In February 2017, Chunky’s began construction of its flagship location, boasting 10 state-of-the-art theaters and kitchen facilities capable of serving up to 1,200 guests. 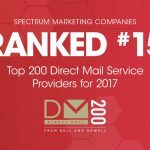 From the outset, it was determined that a bold visual statement was necessary to create a space that was worthy of the brand, and no expense was spared in the effort. The accompanying images seen here represent a visual exercise designed to engage and entertain from the moment a guest walks through the door. 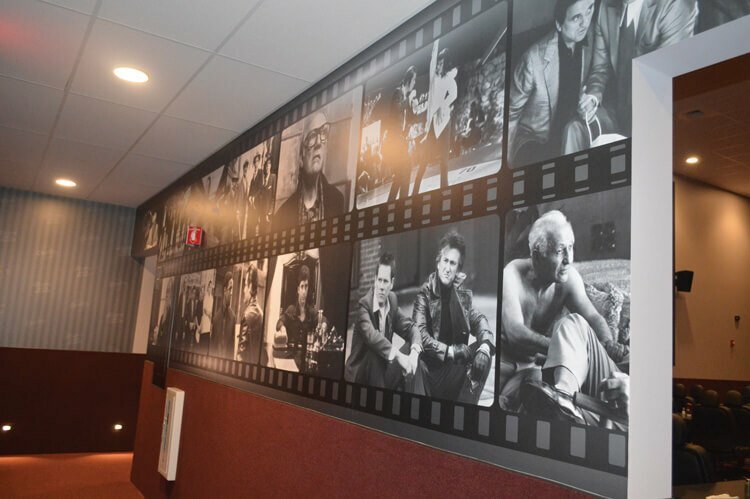 Theater Entrances: Each theater received its own themed entrance hallway, dedicated to instantly-recognizable classics from each genre. 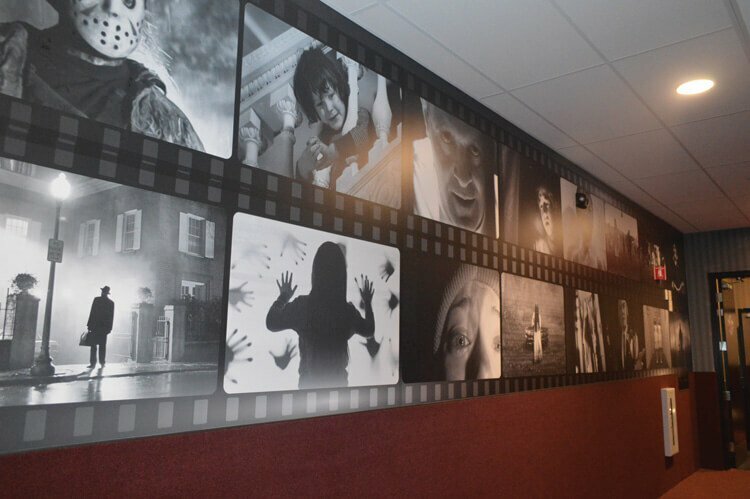 Textured adhesive vinyl provides long lasting protection to sensitive wall surfaces. 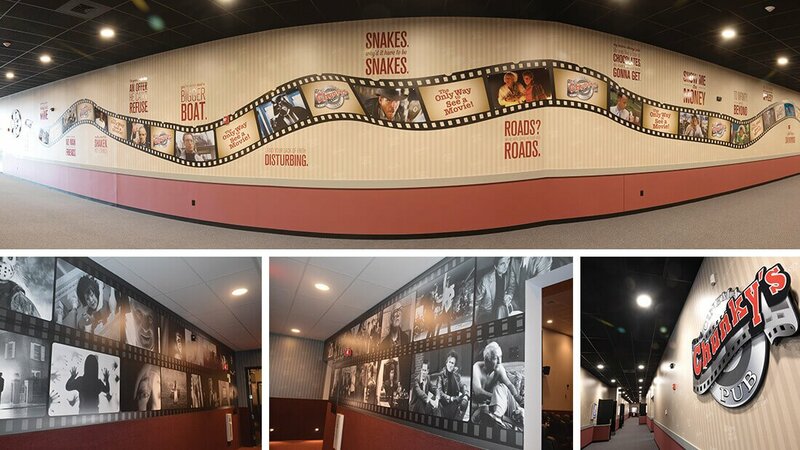 Main Hallway Filmstrip Mural: A centerpiece timeline dedicated to classic movies and their most recognizable quotes, rendered in a combination of adhesive vinyl, Sintra® PVC and reverse-printed acrylic. Approx. 90’ LOA. Our goal was a visually stunning space that complimented our guests’ entertainment experience from start to finish. The end result was well beyond our expectations. Main Lobby “Faces” Mural: Utilizing the full height of the nearly 30’ ceiling, the “Wall of Fame” has proven to be the conversation starter of the bar & lounge area, challenging guests to try to name them all. Matte laminated wall fabric with overlaid multi-layered acrylic logo is visible from outside.